Microsoft bought Bungie lock, stock and barrel. 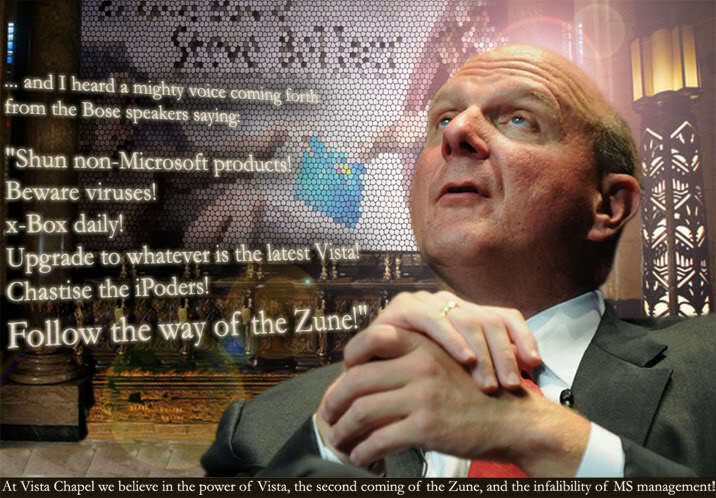 It is illegal to own, run, advertise or spread pre-microsoft versions of Bungie software. There is a very good reason that Myth, Oni or any of that other crap Mac software by Bungie is no longer supported by anybody at all. - Bungie was embarrassed by it and it has taken us years to rebuild their self-esteem. Please do not use or hack any of the old Bungie software! It's dead and meant to stay that way! Don't make us come after you. #448858 The Truth - Once again! Xbox is good. I don't know what that other stuff is. It's too complicated for me probably. I'm a big fan of Bose speakers too. I have a pair of monsters from the 70s or maybe they are from the 80s. I forget but they sound awesome. My Xbox is connected to a Denon stereo receiver that drives them. Call me old fashioned but I love this setup for music, movies and gaming. I bet it sounds awesome! #448826 The Truth - Once again! #448825 Apple CPUs to Replace Intel in Macs?
" I am choosing to shut the hell up about this stuff "
#448814 Apple CPUs to Replace Intel in Macs? Stock trading done in response to a rumor is not really proof of anything. Well if nothing else, Apple can try to negotiate a better price from them. "Give us a price break or your stock drops again." The world only cares about Microsoft!